A fundamental law of magnetism is that like electric currents, the lines of magnetic force must close. But this law has not been respected by modern astrophysicists. There is a striking (but hardly ever mentioned) divergence between engineers and astrophysicists about Gauss' Law for Magnetism. Engineers point to the necessary conclusion that the law states that lines of magnetic force can never end. Like electric currents, they must loop around and complete a closed circuit. 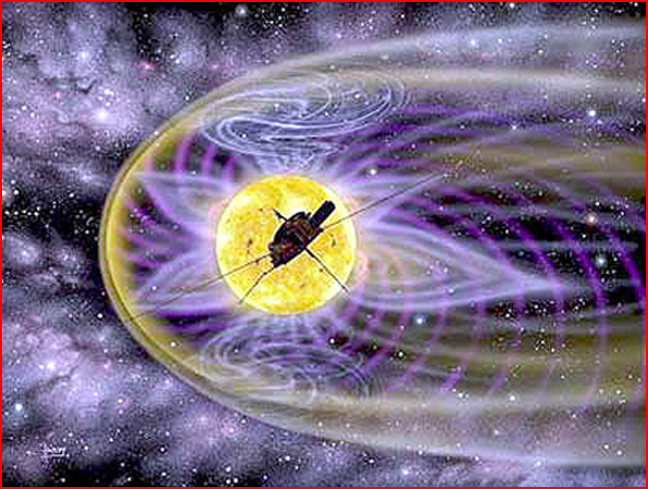 Since the 1950s, most astrophysicists have believed that the interplanetary magnetic field (which results from the "open" solar field) really is open, i.e., one end anchored in the Sun and the other flapping in the solar wind. If pressed, a few astrophysicists will tell you that the "open" end actually extends to infinity. When challenged on the absurdity of this they fall back on the argument that, OK, maybe the lines don't extend TO infinity, but they are infinitely long. When challenged that open fields imply a violation of Gauss' Law (integral form) which states that the inward and outward fluxes are equal for any closed surface, the justification they invoke is that Gauss' Law is not actually violated because a line of force, being an imaginary construct, does not have any magnetic flux associated with it. But a line of force is associated with a finite amount of flux as a matter of definition. (A line of force is everywhere tangent to the magnetic flux.) I became so exhausted arguing about the flapping end that I never brought up the "ends" anchored in the Sun, which are even more problematical. The thing that amazes me is that the two groups having such exactly opposite opinions have rarely clashed in the literature. Non-astrophysicists generally believe that what the astrophysicists mean is that the "open" lines extend far away from their source, the Sun, but "of course" they must eventually meet up with their ends, somewhere, to make closed loops as required by Gauss' Law. But, based on my exhaustive arguments with one of the leading authorities, and communications with a half dozen or so others, that is definitely NOT what the astrophysicists believe. There seems to be an unwritten rule somewhere that the two groups will just go on believing what they want, and avoid confrontation. This is not just an academic detail of little consequence. It bears directly on the failure, over half a century, to understand the very source of the interplanetary magnetic field.